One of the most common complaints among guitar players is that their guitar won’t stay in tune. More often than not, the solution to the problem is as simple as a little preventive maintenance and proper set-up and stringing of the instrument. The easiest and most logical way to approach tuning problems is simply to follow the string path from one end to the other and inspect the operation of each component that interacts with the string. 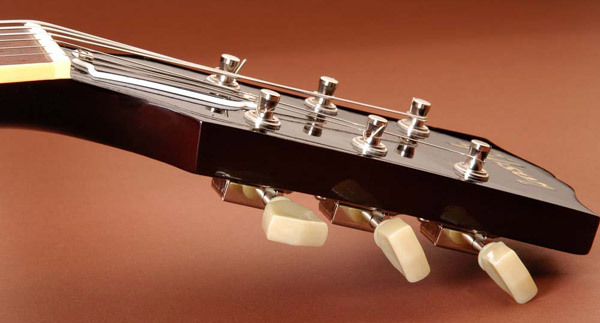 Tuning Machines: If they’re hard to adjust, damaged or prone to slippage, replace them with good quality tuners. Be sure all nuts and screws are tight. 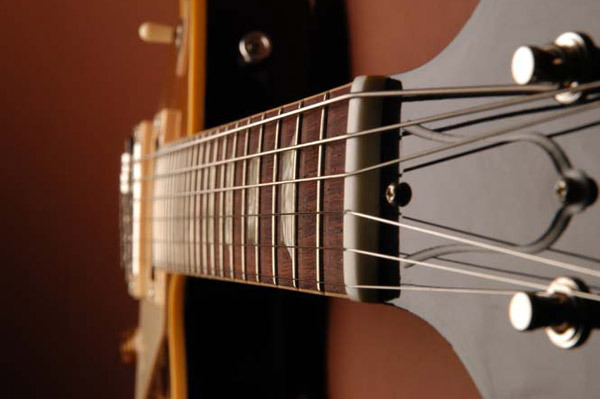 The Truss Rod: A truss rod that is improperly adjusted can cause a guitar to play out of tune throughout the entire neck. Truss rod adjustments are best left to the experienced. It’s easier to spend a few bucks on a setup from a good tech than spend a few hundred on replacing a snapped truss rod. 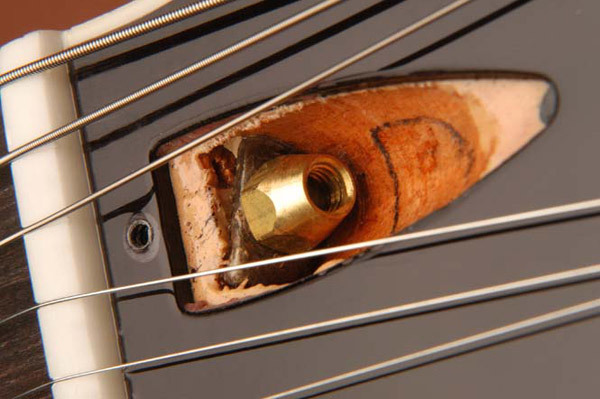 The Nut: If you hear a “tink” when tuning, the nut slots are too narrow and the string is binding. 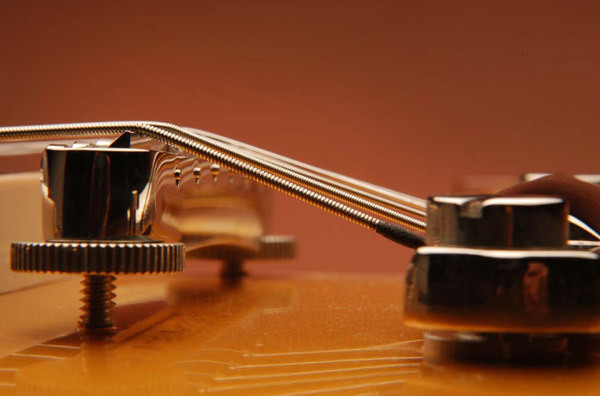 If first position notes or chords sound out of tune, the string slots may not be low enough and the string is traveling so far to contact the fret that it’s being pulled out of tune. Either of these conditions is easily corrected by a competent tech. Also, there are “nut lube” products available that can help prevent string binding. The Frets: If the frets are not level and properly crowned, the guitar can sound out of tune. 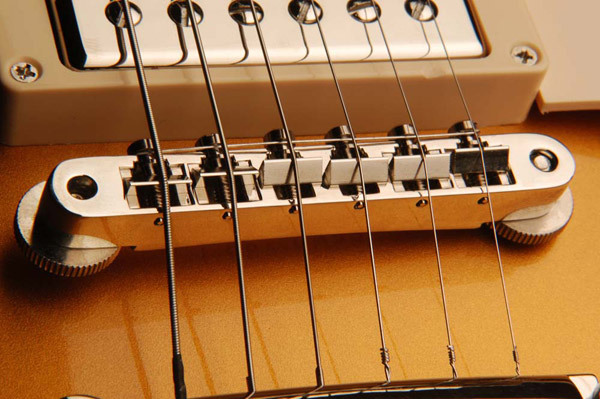 In extreme cases, a fretted note will actually sound at an adjacent, higher fret. 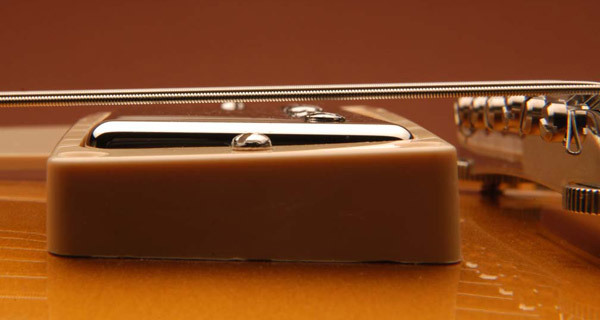 Pickups: In some cases, a pickup raised too near the strings will exert a magnetic pull on the strings, causing them to sound out of tune. This can also reduce sustain. Recommended pickup heights are a good starting point but don’t be afraid to use your ears to dial in the best position. The Bridge: A bridge that needs to be adjusted too low or too high may be an indication of a neck that needs resetting. An improperly set neck can cause the entire guitar to play out of tune. The bridge or saddles should be intonated with a properly calibrated strobe or electronic tuner. 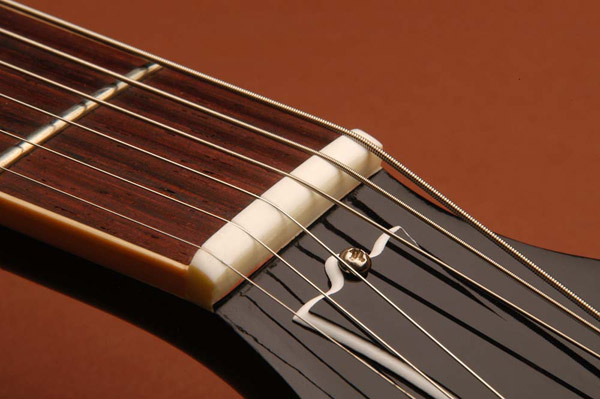 The Tailpiece: If the guitar has a stop or trapeze tailpiece, it should rest at a height that provides for a good break angle over the bridge without allowing the string to make contact with the back side of the bridge. The Strings. Use good quality strings. Loop the string through and around the post in the manner shown, allowing for 2-3 turns of the string around the post. 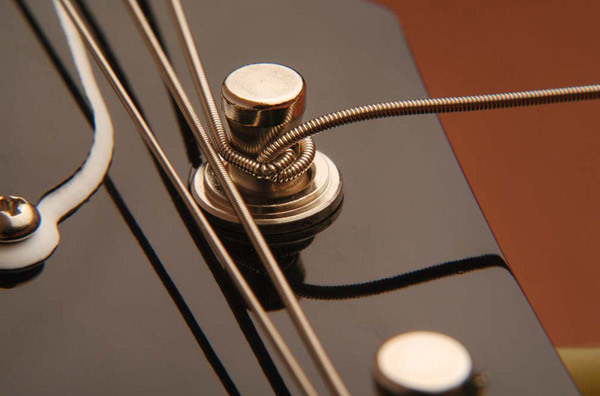 Stretch each string as you tune it until it no longer drops in pitch. If you follow the steps above, any tuning problems should be eliminated.